Timber from sustainable plantations is dried and loaded into kilns where the burning process occurs. The charcoal is then bagged and stored for 13 days for conditioning. Unlike most briquettes, lump charcoal is 100% natural. With natural charcoal, all you get is great tasting food, without the additives found in briquettes. Lighting natural charcoal is a breeze. Place one block of our Eco Wood Firelighter in the center of your charcoal, light, and wait 10 minutes and you will be on your way to creating culinary perfection! Natural charcoal generally burns hotter than a gas grill or briquettes. Higher temperatures means better tasting food. 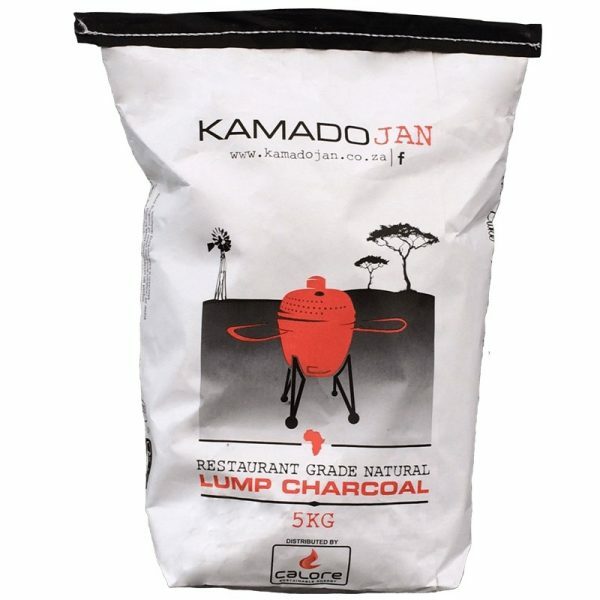 Your Kamado JAN can be ready to cook within 10 minutes using natural lump charcoal. Natural Lump Charcoal is more responsive to oxygen. By using the air intake and flue outlet on your Kamado JAN, you can control your desired temperate to the degree allowing for easy, versatile temperature cooking. Charcoal creates less ash than briquettes.